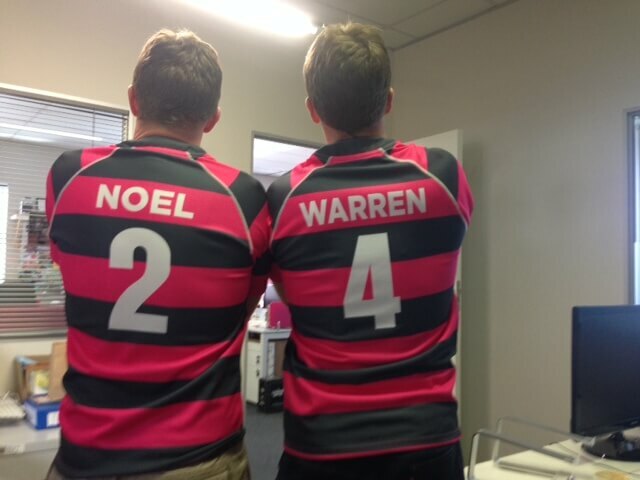 The Yuppie Chef Corporate Team opted for a custom manufactured rugby jersey in their corporate colours. These rugby jerseys will be worn by the employee’s while working in the warehouse. The team entered a warehouse competition and wanted to be spotted easily. Corporate branded rugby jerseys is becoming very popular especially for corporates who want to be identified with a team sport.